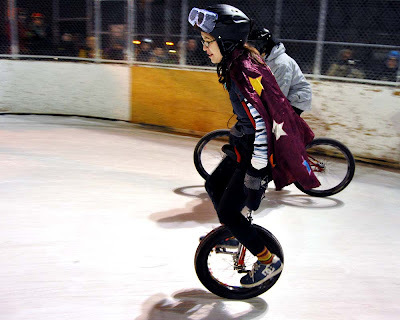 Wow, that was pretty cool. 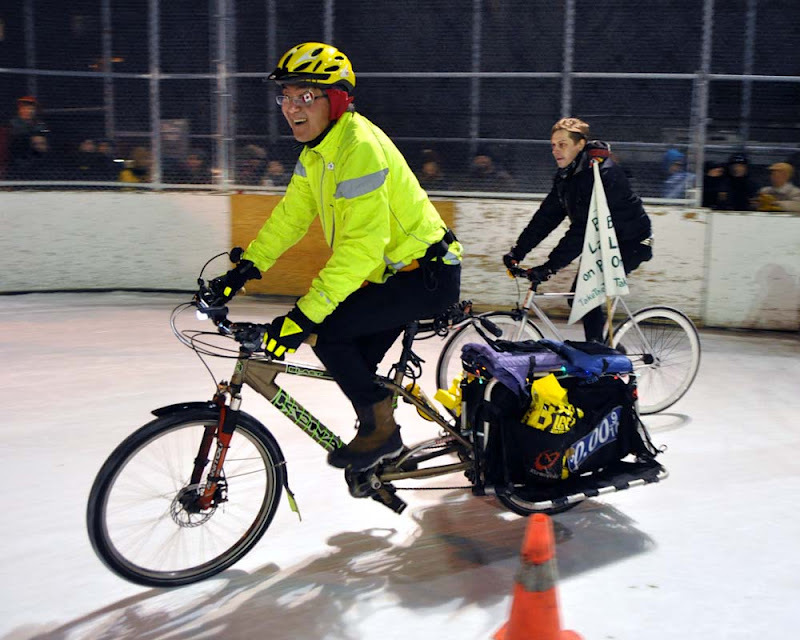 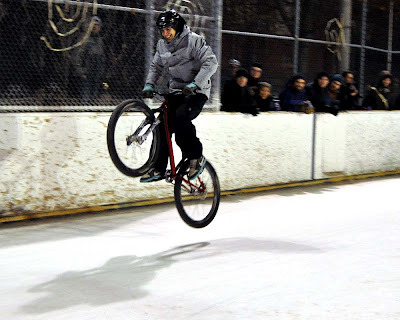 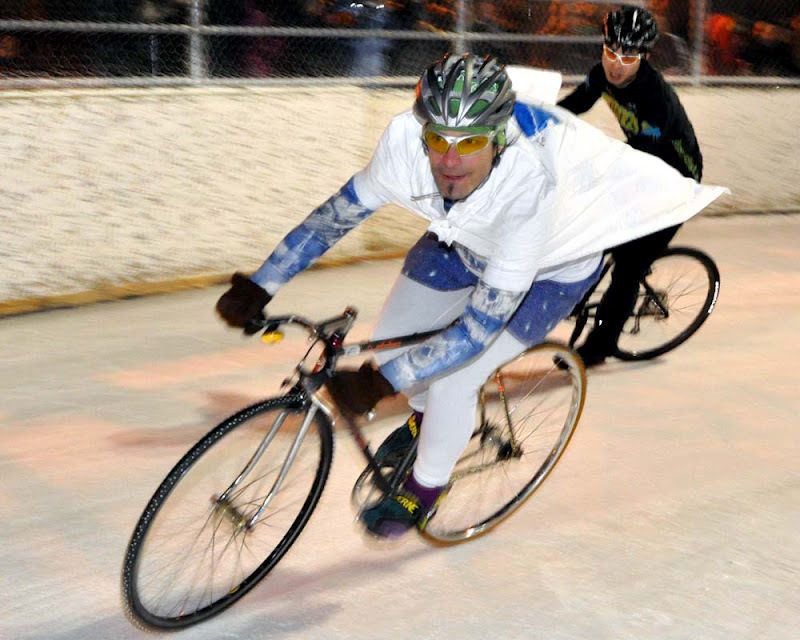 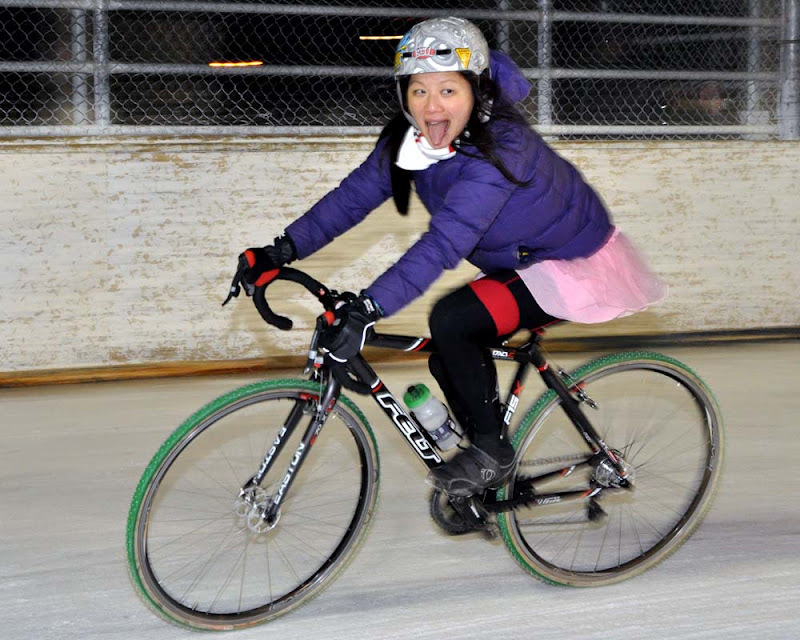 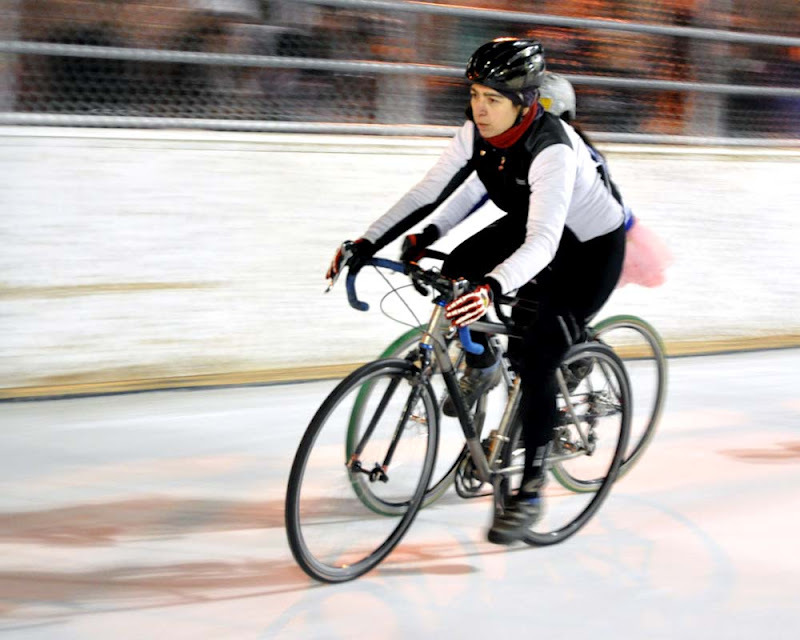 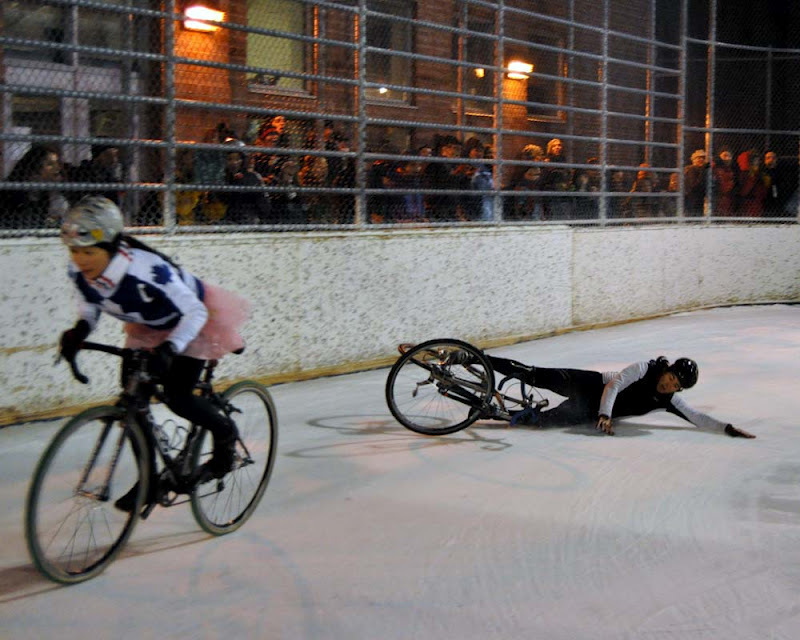 #Toronto bikers competed at the annual Ice Bike Race at Dufferin Grove Park skating rinks. Heats of three to five ice racing, adventurous athletes raced around the hockey rink until the finals ended in a race around the entire double ice surface. The races were men only, women only and the final free for all which included everyone and their mother, which produced some spectacular group crashes. 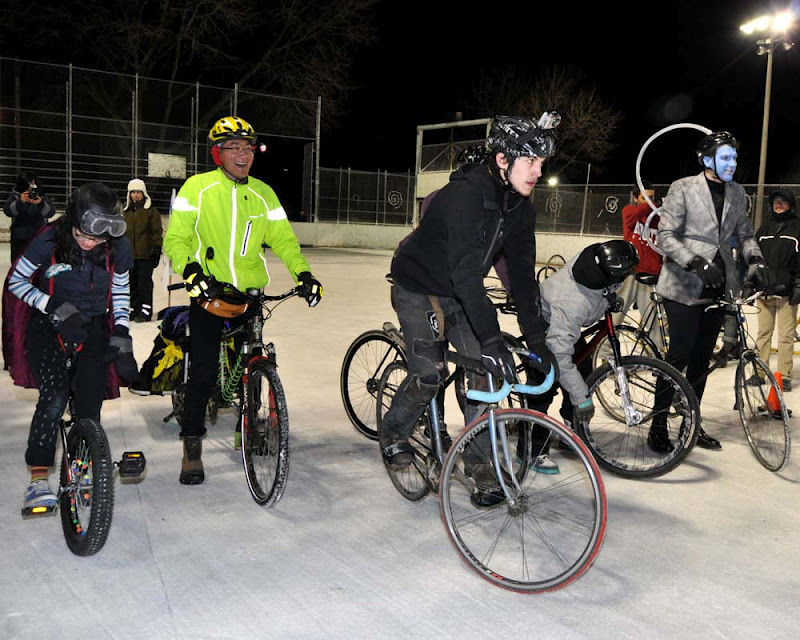 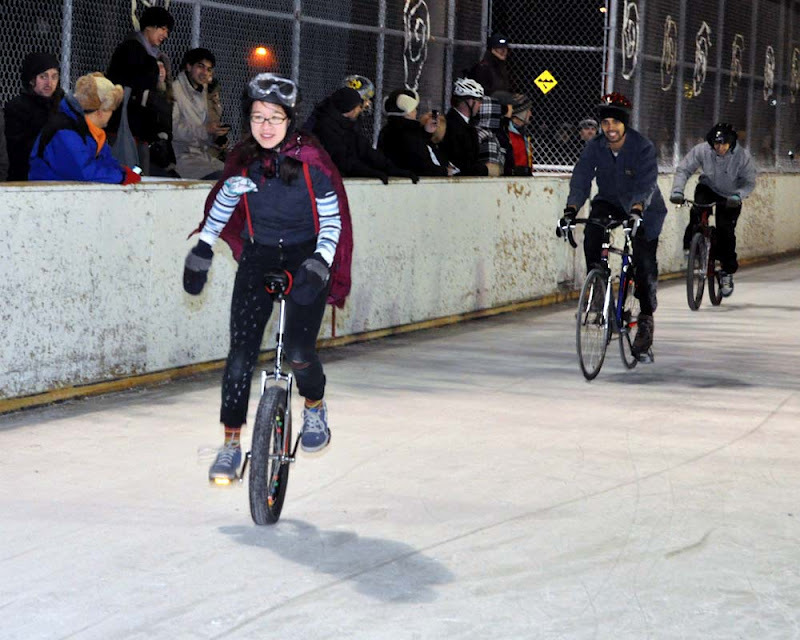 A large, festive crowd gathered around the outside of the rinks cheering on the participants in Toronto's only on-ice race on two wheels (the free for all included someone on a unicycle) on Saturday, February 18, 2012 from 7-10pm. 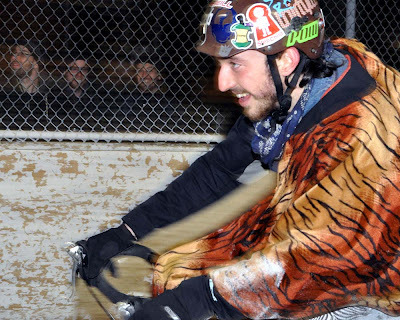 You could pay $5 to sit in the box which provided the best seats in the house, or watch for free everywhere else. Money raised went to Charlies Freewheels. 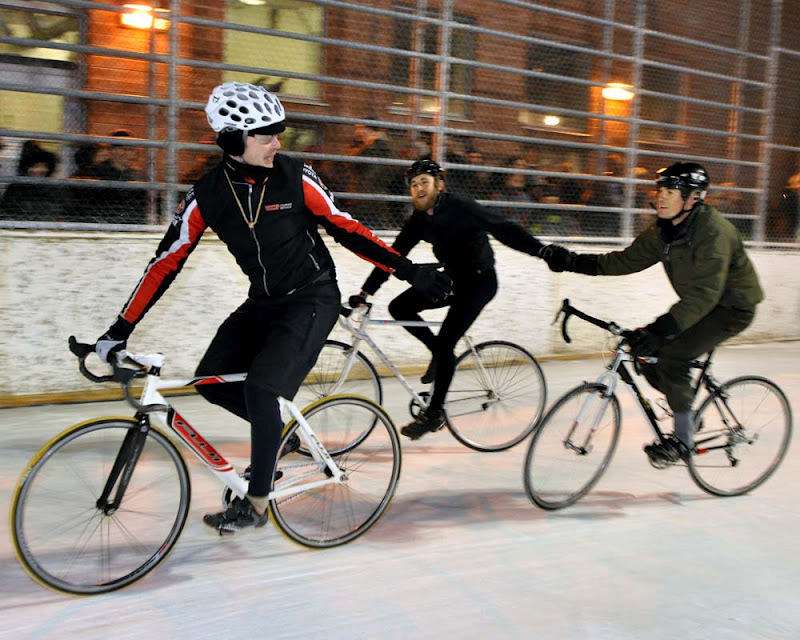 The bikes need studs if they have any thought of staying upright and in the race. The studded tires are done by the racers and typically feature hundreds of pan head Robertson screws, hand drilled and screwed into the tires. 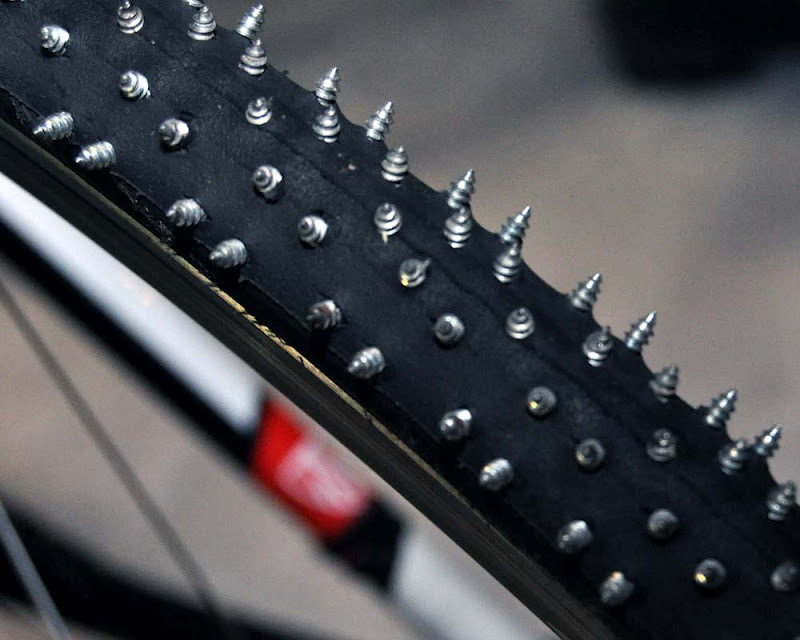 You wouldn't want to come in on the wrong end of these tires. See more ice racing after the jump. 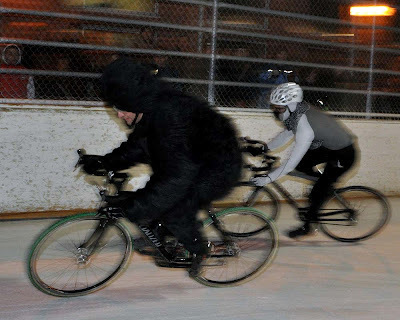 There was a group of bicyclists that came with some way out costumes (like Mr Freeze with his blue face) that helped bring some humour to the event. Tandem bikes also raced and they were pretty difficult to maneuver, frequently losing control in the corners. Some of the free for all, last ride of the night.